Enjoy consistently high customer satisfaction at the Microtel Inn and Suites by Wyndham Moorhead Fargo Area! This lodging is conveniently located just two miles from Minnesota State University and minutes from Fargo businesses, museums, festivals, shopping and parks. Several restaurants, including Pancheros Mexican Grill, are located within walking distance. 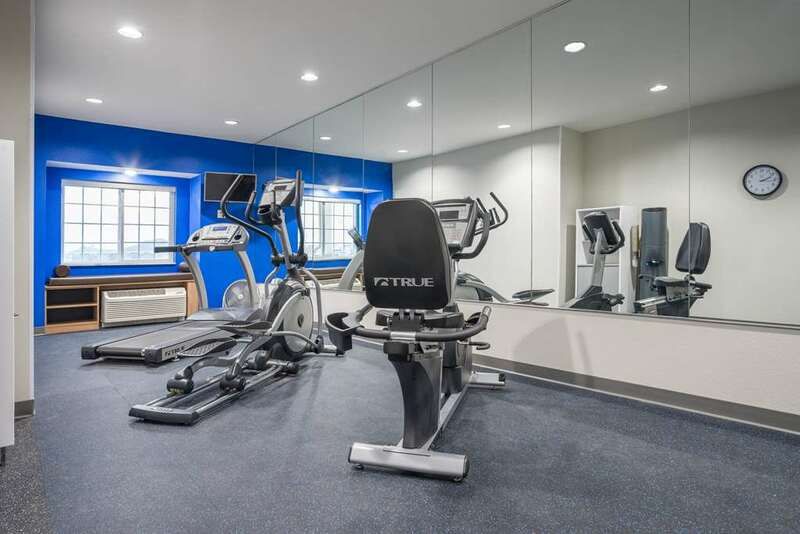 This facility features fitness center, guest laundry facility, business center, sundry shop and meeting room for up to 16 people; as well as complimentary parking for your car, bus or truck. Savor complimentary hot breakfast buffet daily and take advantage of complimentary wireless Internet access. On warm days, grill some hamburgers in the outdoor barbecue area. Spacious guest accommodations feature iron, ironing board, microwave, mini refrigerator, hair dryer and flat screen HDTV. For added comfort, this lodging is smoke-free.